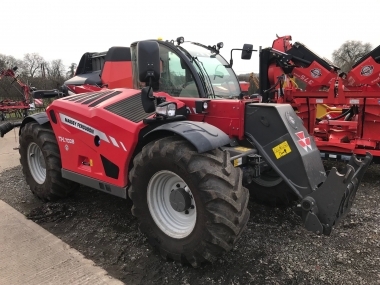 Massey Ferguson 6499 tractor model, the flagship of the MF6400 range of tractors has proven to be a highly versitile tractor suited to a wide range of applications. 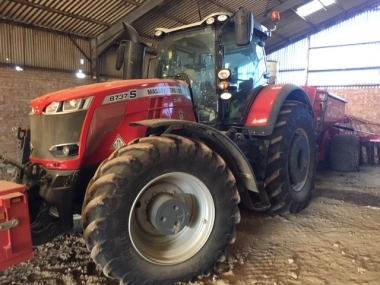 Launched in 2003 with the well proven Dynashift transmission, the MF6499 tractor proved popular replacing the MF8250 Xtra Dynashift model. 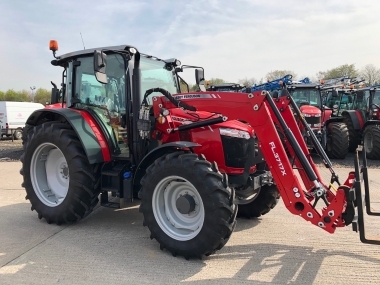 The MF6499 tractor model has evolved over the life of the model, with improvements in specification and tractor output. With a minimum unballested weight of 7,300kg, and the possibility to ballest up to nearly 10,000kg. Find out about the full specification below. 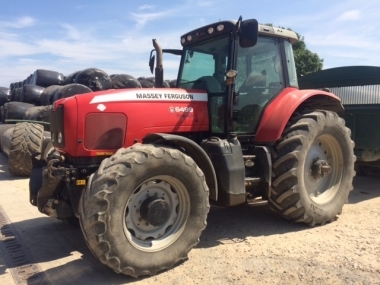 Massey Ferguson 6499 tractor model specifcation information. 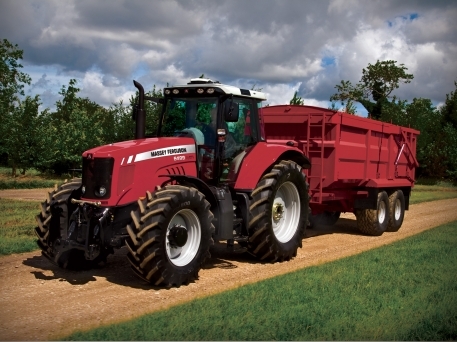 The range topping MF6499 replaced the outgoing MF8250 dynashift tractors, with the all new 72dbA industry leading quiet cab, optional front axle and cab suspension, and power boost in transport and pto operations. 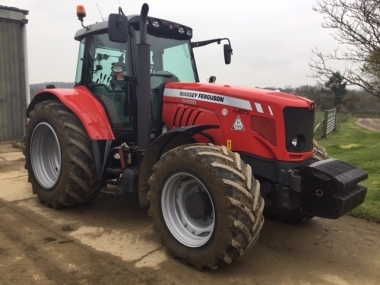 Available with identical controls to the smaller MF6400 series of tractors the Massey Ferguson 6499 is an easy tractor to jump onto by a driver using the smaller tractors for year round work, and feel instantly at home. 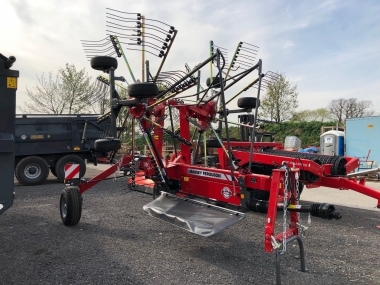 The hp available is typically a suprise relative to the compact manouverable size of the tractor, with a large number of 6499 tractors finding work all year round with 3,000 litre twin disc fertiliser spreaders, tripple mower combinations where the high power to weight ratio suits this type of work. 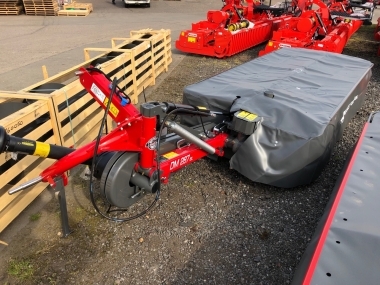 When required the Massey Ferguson 6499 could be supplied with full ballasting including up to 600kg in each rear wheel, and 1800 kg front weight blocks, either hung directly onto the front weight carrier (as a monoblock), or onto the typically specified front linkage. During the model life of the MF6499 tractor, from 2003 until the end of 2011, the tractor saw a number of changes. Initially supplied with the 32/32 forward and reverse gear Dynashift transmission, this was upgraded to the Dyna-6 in 2006. Supplied from the outset with the SISU diesel engine with an excellent reputation for good fuel efficiency, the engine was upgraded to Tier 2 and then Tier 3 common rail turbo diesel in line with the introduction of the European wide emmission regulations. 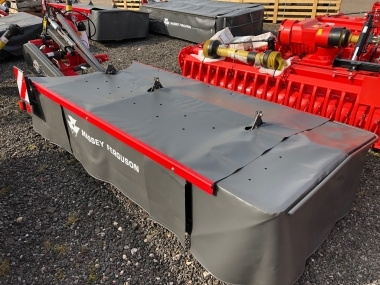 The engine changes increased Torque significantly with every update further improving the performance of the 6499 tractor, and power boost grew from 10hp initially to 15hp in the latter models manufactured. The MF6499 tractors were supplied typically with TR (Transport pack) specification, this included as standard Quadlink front suspension, CCLS closed centre load sensed spools c/w 110 litres/min oil flow, welded wheels, pivoting front fenders and cab comfort pack (air con, air seat, passenger seat and rear wash wipe). 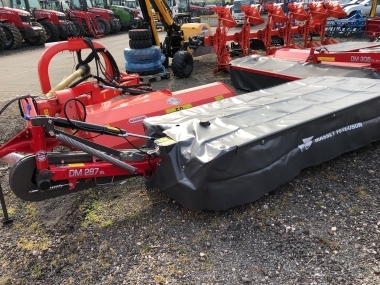 Some Massey 6499 tractors benefited from Comfort pack plus, which included climate control, electric adjustable mirrors and super deluxe Grammer air seat (heated, c/w fan). 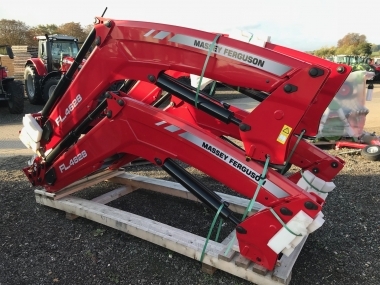 All Massey Ferguson 6499 tractors were supplied with the excellent Dromone hydraulic extending rear pickup hitch, which is piped directly into the tractor hydraulics, and fitted with a convenient tap to lock off for safety and so the spool couplings could be used on an implement, all accessible to the driver through the rear window without having to leave the cab. buy every original 6499 part online.